Indy, Vincent d’, 1851-1931. Symphonies, no. 1, A major. Scherzo; arr. . Scherzo from the Symphony no. 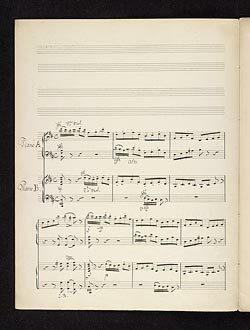 1 in A major, arranged for two pianos : copyist's manuscript , 1872.